The cannabis industry is evolving rapidly and so should your perception of banking. I recently attended the Second Annual State of the Cannabis Industry Conference, in Massachusetts. The event was organized by the cannabis law practice of Burns & Levinson and by Viridian Capital Advisors, a financial advisory firm dedicated to the cannabis industry, with speakers sharing their experience with cannabis financing, operations, technology and most importantly banking. I was contributing on a panel about the Future of Banking. Steven Hoffman, Commissioner of the Cannabis Commission for the State of Massachusetts provided an update and set expectations for the future, at a time when the market is growing rapidly,with the imminent start of the adult-use program. He announced the first two licenses later that morning, emphasizing the importance of creating a sound and solid program for the State and the industry. In her keynote speech, Sundie Seefried, CEO/President of Partner Colorado Credit Union shared her experience as a banker in the cannabis industry. The Safe Harbor Program and the services that she manages have created more banking opportunities for the operators and for the banks interested in serving the industry. The compliance process that is necessary for the financial institutions before they can onboard new clients as well as the ongoing assessment and review of the portfolio is under-estimated. Sundie explained the ratios the banks must maintain to stay compliant and viable and how the deposits related to cannabis have an impact on these ratios. Safe Harbor ensures the bank program follows all the FinCEN guidelines and assists with due diligence. Cannabis companies are notorious for complex corporate structures making it even more complicated for banks to underwrite the account. Having a realistic and vetted business plan, a strong and reliable management team and all compliance and management systems in place gives all the more assurance to the bank that the activity will be conducted according to best practices and that cash will be handled correctly. I participated on the panel on Future Banking in Cannabis. As an operator, co-founder of a vertically integrated operation; as a consultant and advisor to operators, and as CEO of a technology company, I have experienced the ups and downs of banking in the cannabis industry. Banks are historically weary of all cannabis business types, technology or plant-touching businesses; only a few banks want to work with you, the others close the door (and your accounts). Tina Sbrega, President & CEO of GFA Federal Credit Union, recently announced that the financial institution she is managing is now accepting applications from cannabis companies in Massachusetts. Thanks to the Safe Harbor program, they are able to underwrite the potential clients and streamline the process. It will greatly help the growing market in Massachusetts now that two banks are accepting cannabis operations as clients. Tina, myself and the other participants on our panel shared their experiences and how we all dealt with the banking issue. One of the key points for me is allowing the operators to manage their business to the highest standards. Although compliance is key, it cannot be the only and primary driver. The business must be managed as any other industry would. Tracking performance indicators and using the appropriate business management system, particularly as it relates to cash management, costing and accounting is the key to reliable financial data and better decision making. Too many softwares on the market offered to cannabis operators are built just for compliance purposes, neglecting the business performance. They do not give efficient tools to business owners to achieve their key business objectives. 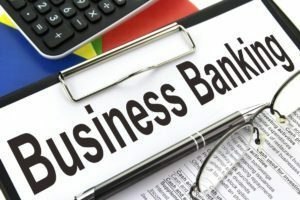 Although there are a lot of things that will impact it, from political to financial, the future of banking in the cannabis industry is a path companies will use to improve their business management. The cannabis banking industry is evolving rapidly and so should the management of your company.